Hi. Thanks for checking out our news page. Recent News of our artists at work. Currently, Bobbie Hanson is displaying several of her works at the Ash Flat Library, a show that will last through the month of July 2018. Beth Fern's work was displayed at the Ash Flat Library through the month of May 2018. Fran Sabi has her work displayed at First National Bank in Hardy through the month of June and July 2018. From January through April 2018, she also had work hanging at Rhythm & Brews in Hardy. 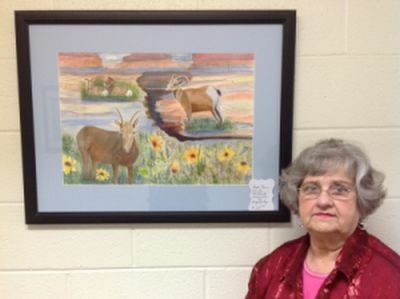 Trish Corder had the painting "Off the Beaten Path" juried into an art show at the Garland County Library in Hot Springs. Another painting was juried into the MidSouthern Annual art show at the Butler Center in Little Rock. This allowed her to reach signature status in MidSouthern Watercolorists. Several of our artists will be taking part in the Delta Show in Newport on February 25th, 2017. This is a large show that brings over 185 artists from all over Arkansas. 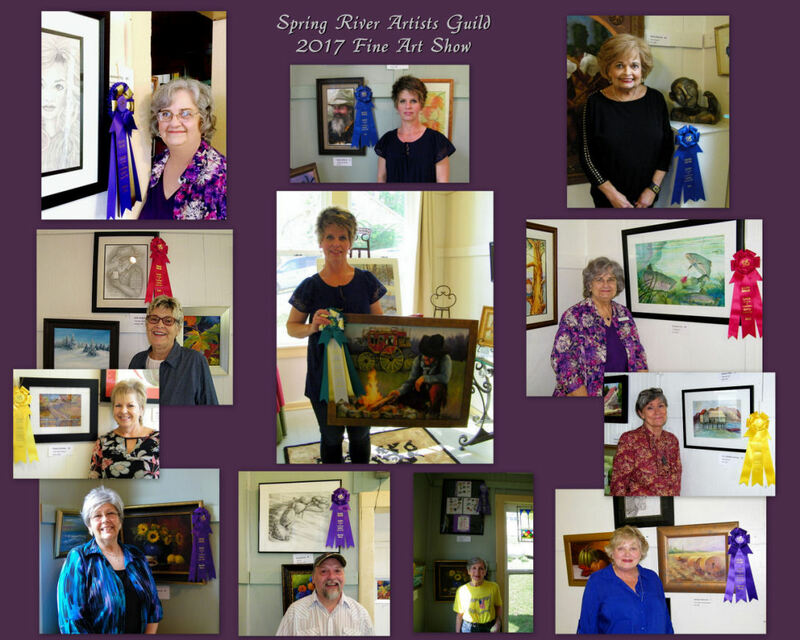 Artists who are participating are Shana Cochran, Trish Corder, Beth Fern, Suzanne Fry, Sherri Groves, Linda Gonzales, Becky Lindner, Sally Papich, and Barbara Smock. We are pleased to announce that Suzanne Fry will be exhibiting her art work at Ash Flat Courthouse during the months of July and August. 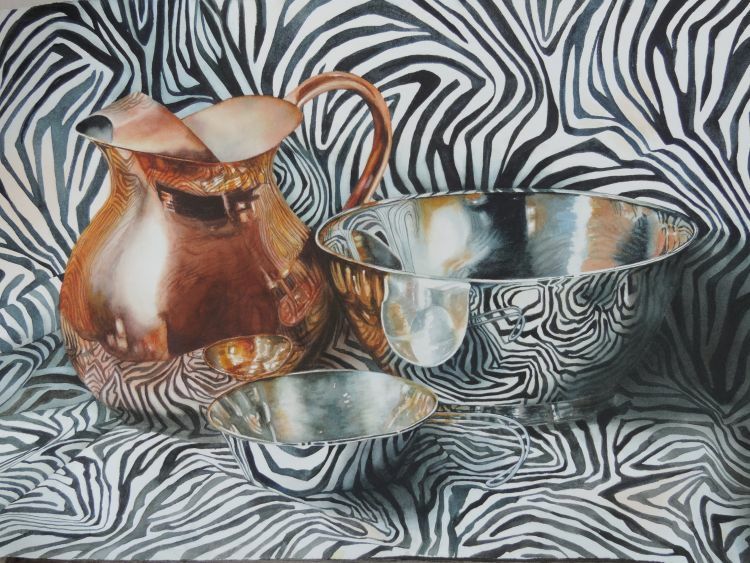 Based on their acceptance into the Summer 2016 Juried show sponsored by the Arkansas League of Artists, Trish Corder (our director) and Sally Papich have been recognized by the Arkansas League of Artists as signature members. Their submissions will be on display at the Butler Center in Little Rock through October. Congratulations to these two. Many of the best artists in the area are part of our gallery. July 6, 2016: Congratulations to Luanne Stone on having one of her paintings featured in North Light's Watercolor Book, SPLASH, for the year 2016. Plans are underway for our monthly workshops. They will be held the months of May through September. Dates for the workshops are on the calendar page. Our workshops will be held in the upper room at Cruisers downtown Hardy, which makes a great place to meet.